The holidays are over and at times I feel like depression has set in. Okay, maybe not depression, but it is sort of like a sadness. It is freezing outside and the next day off from work isn't until MEMORIAL DAY! Are you kidding me?! All the Christmas decorations are down and my house feels quite bare. I don't want to put up Valentines Day things. Not yet! So what can I put up in my house that will help me smile? I have been thinking and thinking and I decided to go with a snowman theme this year. 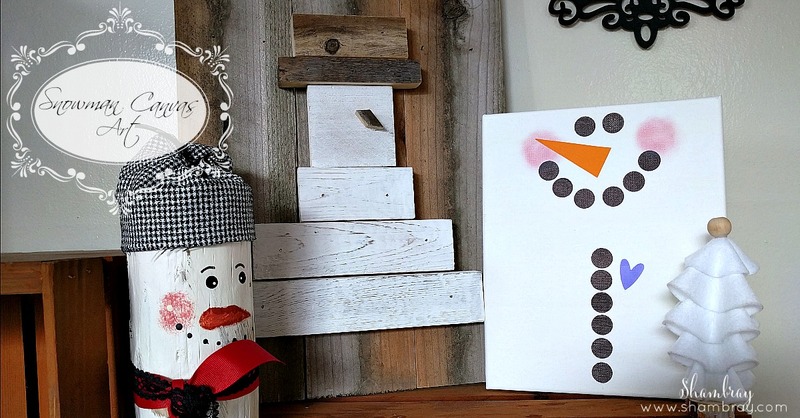 I already had 2 snowmen in my decor, but I wanted one more. I had just received a package from Umbrella Crafts and I knew I wanted to use their new ink pads and sponge daubers on a project very soon. That is when the light bulb went off! The sponge daubers make great circles. 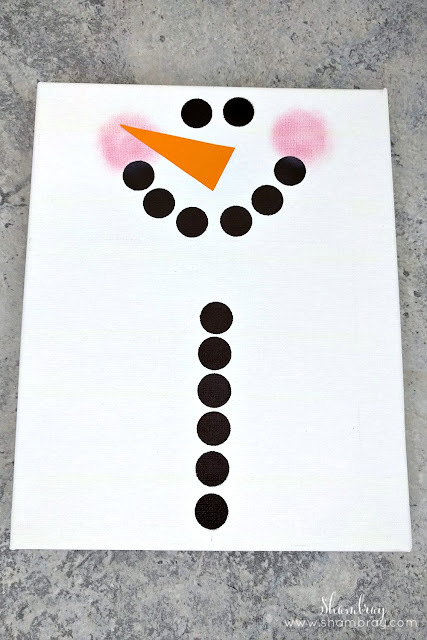 They could make the buttons on my snowman, the circles for his smile, and his eyes! I also had an extra canvas that I wasn't using and since canvas is white I thought it would be perfect for a snowman. So I got to work. 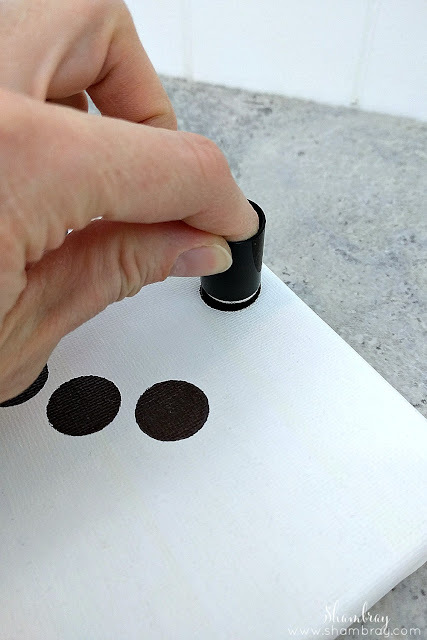 Ink Pads-I used 3 different colors (although you can use whatever ink you want to use, but I highly suggest Umbrella Crafts ink. 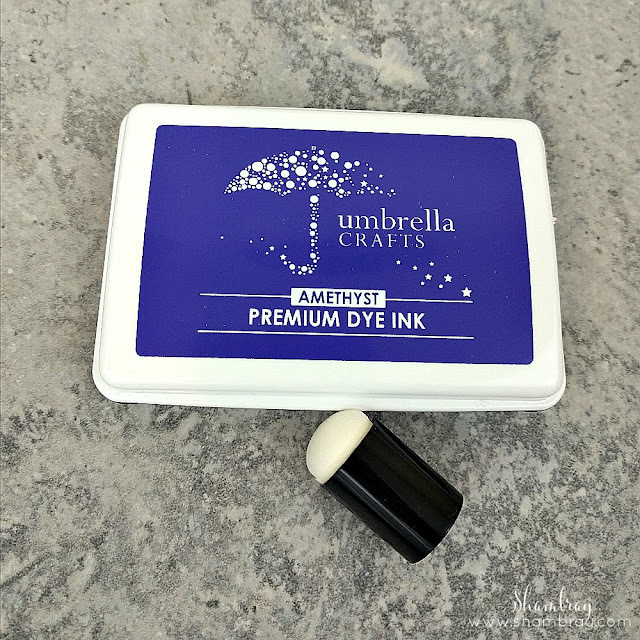 The colors are so vibrant...I was a little worried because I love Stampin Ups ink pads, but these new pads by Umbrellas Crafts blew me away. 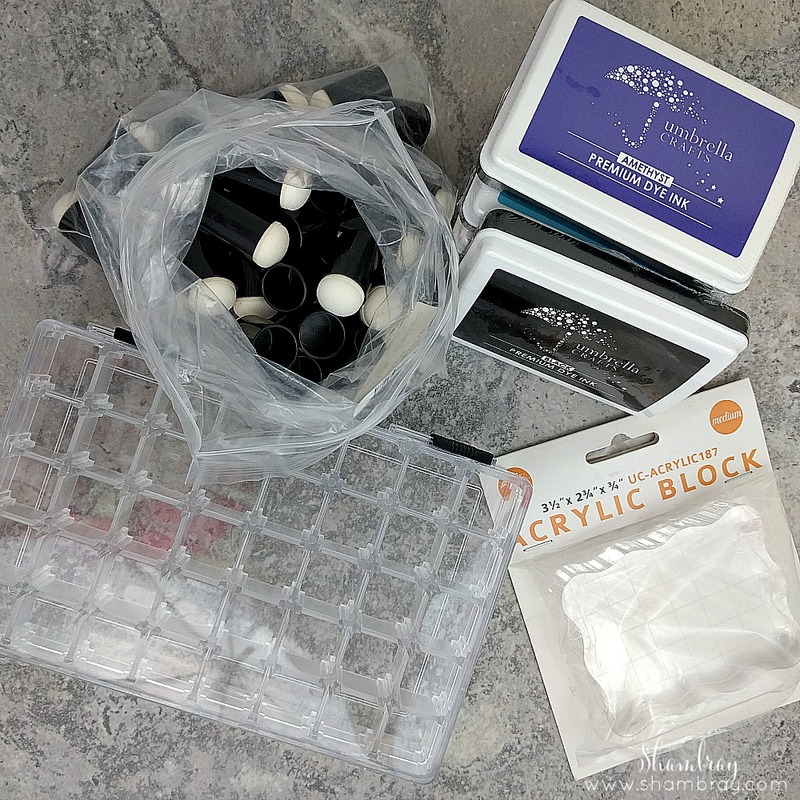 Plus they are WAY easier to open then Stampin Ups ink pads! 2. 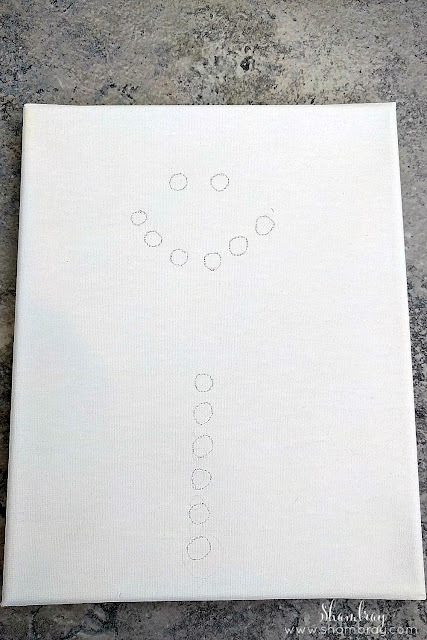 Using a pencil draw where you want the buttons, mouth, and eyes. 4. 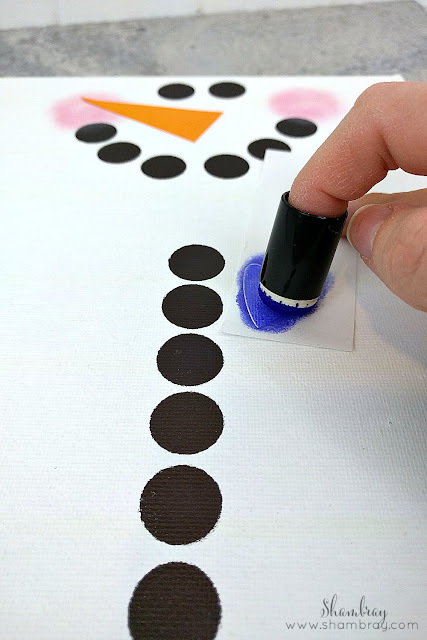 Place the sponge dauber on one of the marks that you penciled in step two. Again, press firmly, but not too firm to go through the canvas. I started with the bottom buttons and worked my way upward. That way I wasn't getting ink all over my hands and smudging what I had already inked. 5. 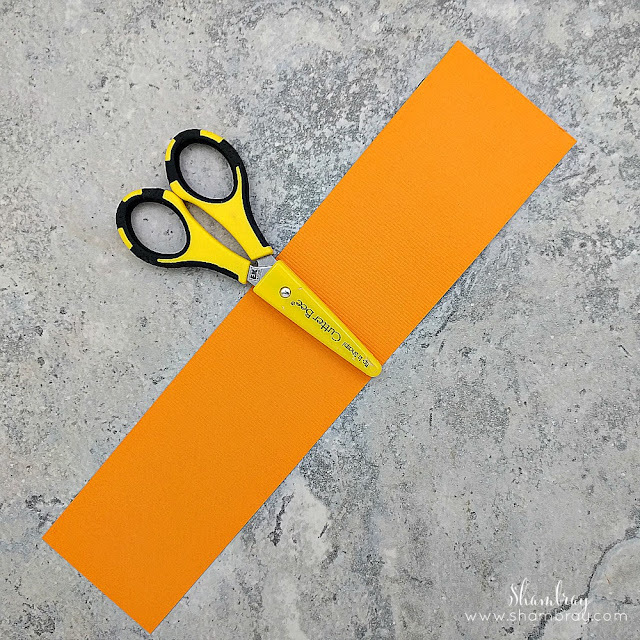 Cut a triangle out of orange paper. I used some that I had left over from another project. Choose whatever size you want your nose to be. 6. After the black ink has dried, take a new sponge dauber and pat on either a red or pink to make the rosy cheeks. You will want it light because you want it see through. Start with a little ink and add more. You can always make it darker, but you cannot make it lighter. 7. Next, adhere the nose in between the eyes and mouth. 8. 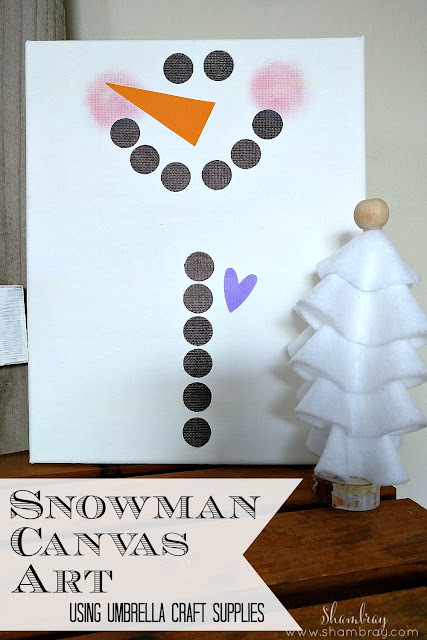 I wanted to add another touch so I gave the snowman a heart. For this step you will need scrap paper. Either, cut out a heart with a heart shaped punch or a personal cutter. Basically you are making a heart stencil. 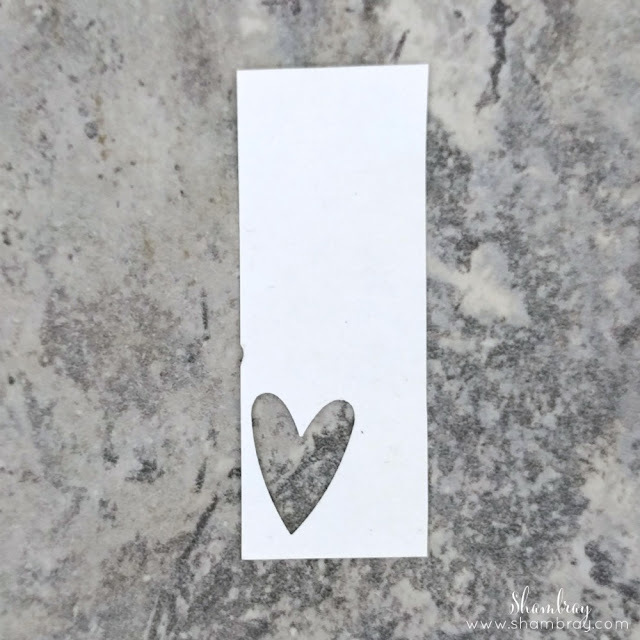 So if you have a heart stencil that would work then you can use that! 9. Choose what color you want your heart to be. You can go with the classic red, but my daughter LOVES purple. So that is what I choose. 10. 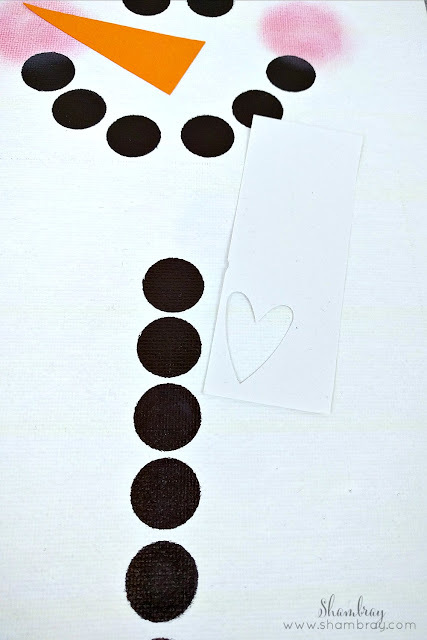 Position the heart stencil where you want it on the snowman. 11. 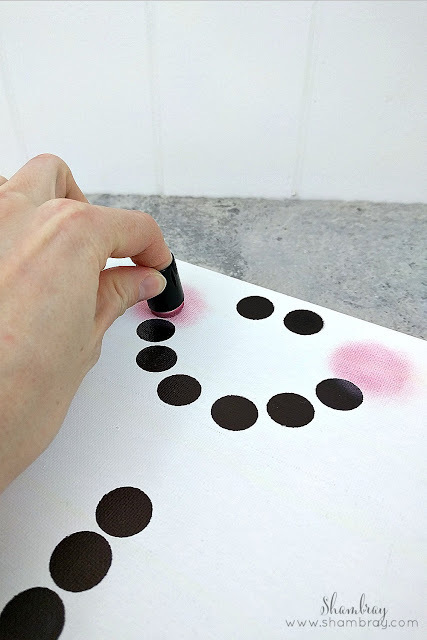 Press a new sponge dauber into the ink. Then start dabbing the dauber in the heart stencil. Make sure you are dabbing and not rubbing so you keep from the ink bleeding under the stencil. You can make the heart as light or as dark as you like. 11. Enjoy the finished snowman. This snowman makes me smile every time I walk past it. I love looking at my smiling snowmen and the differences in each of them. I think this will help with the sadness that comes after the holidays. Pretty soon I will start decorating for Valentines day and I will be happy seeing hearts and love all around! Please note: Umbrella Crafts products are exclusively available on Scrapbook.com. If you want more inspiration on how to use their products and to be up-to-date on all the items that they have check out their Instagram page and their Facebook page! This is so fun, Shambray! Love the snowman. So CUTE! Thanks for the step-by-step tutorial--I think I can make this!